Due to a cooler than normal May, flows on the Upper Kern are going to be great until late July. Snow in the Kern River drainage is not melting as quickly as what would normally be expected. Yesterday’s “high” of 58 degrees was a chilly surprise but what might be a sting of cold air today is a promise of great water flows in July. 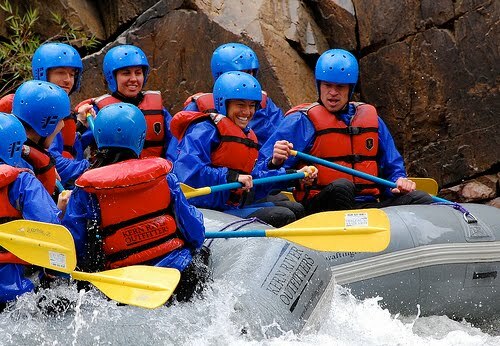 The Upper Kern River is California’s most accessible class II-V stretch of whitewater. For more than twenty miles the river offers up world-class whitewater and a beautiful river canyon all within a pitching-wedge from the road. With various access points, finding a river section suitable for just anyone is possible. Our Upper Kern trips meet at our rafting center at 8:30 a.m. and return sometime between 3:00 and 4:00 p.m. We serve a great lunch along the river and take you on many of the different sections of the Upper Kern. For more information about the Upper Kern, or to book your trip, call us at 1-800-323-4234.